You are currently browsing the tag archive for the ‘cycling’ tag. 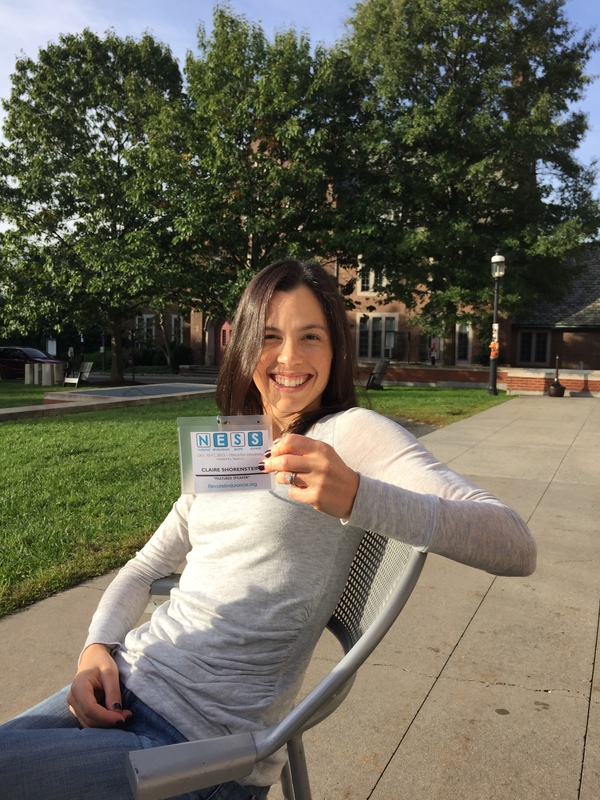 I attended the 2nd Annual National Endurance Sports Summit (NESS) at Princeton University last weekend. What is NESS, you might ask? Yeah, I hadn’t heard of it either until several months ago, when I received an email through my RRCA listing as a running coach. NESS is a conference that seeks to “elevate endurance” by “showcasing the power of endurance sports to make a difference in one’s own life, in one’s community, and around the world.” It is organized and hosted by Team U, an intercollegiate fundraising endurance team founded by Joe Benun, a recent Princeton grad. I was very impressed by last year’s speaker list, which included Marshall Ulrich, Pam Reed, Ray Zahab, David Horton and Matt Fitzgerald, just to name a few. 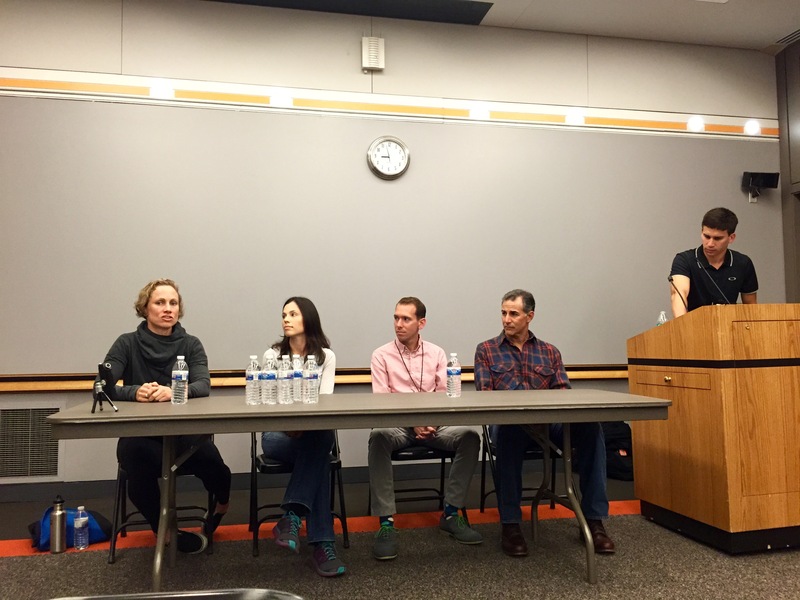 However, there weren’t any Dietitians participating in the nutrition panel or talks, which presented a great opportunity to get involved and share my passion for both nutrition and endurance sports! Team U listened to my feedback and invited me to join the Saturday morning nutrition panel to kick off a packed day of amazing presentations. Check out the 2015 schedule – recognize any of those names or faces above?! 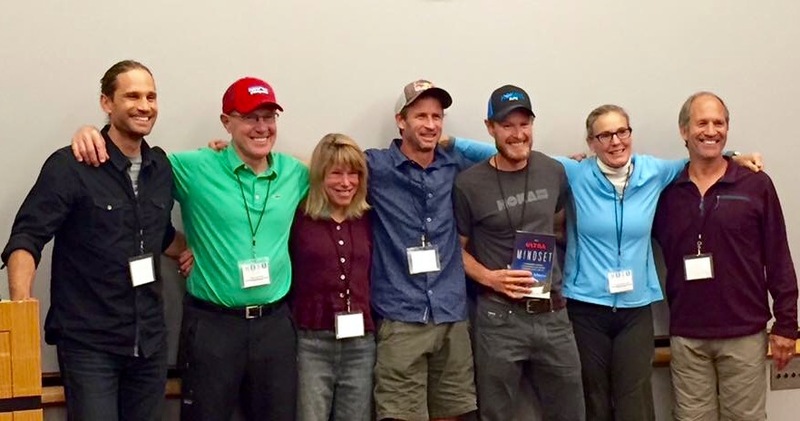 YEAH – only some of the most inspirational, accomplished athletes in the endurance world (from left to right – Simon Donato, David Horton, Ann Treason, Karl Meltzer, Travis Macy, Lisa Smith-Batchen, and Marshall Ulrich). Shockingly, the number of attendees was quite small – I was told 90 but it seemed lower than that, giving each talk an intimate feel and allowing for great interaction between the speakers and with the audience. Given the steady increase in popularity of marathons and ultra marathons, I’m sure that this event will grow dramatically with targeted marketing, word of mouth, and recruitment of more sponsors. Here are some highlights from the many panels and presentations from Day 1 of NESS (unfortunately I could not stay for Day 2). Here’s another write-up on ultrarunning.com if you’d like to hear about Day 2 as well! 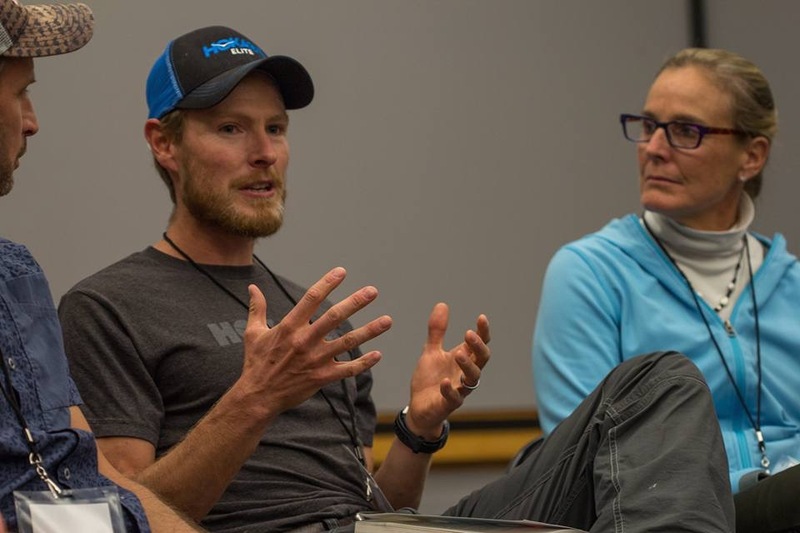 Running coach Jason Fitzgerald, retired pro-triathlete and founder of Be Bold Crew Terra Castro, and celebrity trainer Vinnie Tortorich joined me on the nutrition panel. The topic was very broad and one hour was hardly enough time to delve deep into one large nutrition issue let alone several, however we managed to touch upon a variety of topics with the help of our moderator, Andy Wegman. 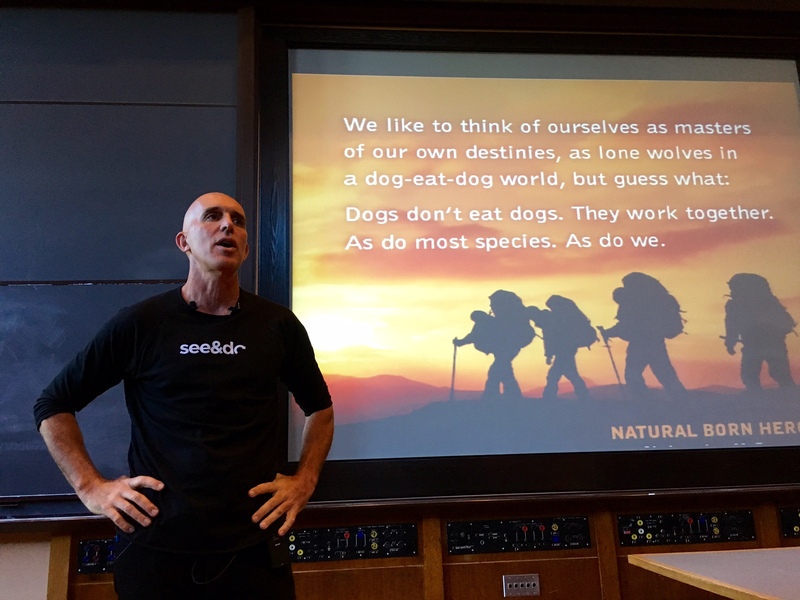 We discussed creating a nutrition strategy yet staying flexible, training your gut not just your muscles, high protein diets, becoming fat adapted through diet and exercise, and fueling with carbs-vs-fat (the most highly debated, given Vinnie supports a “NSNG” or no sugar no grain diet). 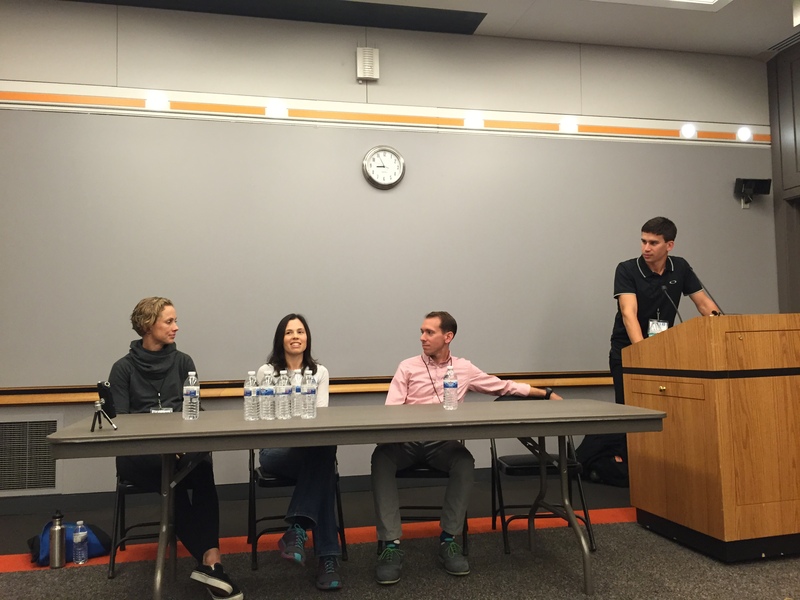 Many perspectives were presented and discussed, and while we didn’t always agree with each other, it was good to talk through some of these hot topics in sports nutrition. I did my best to present evidence based recommendations while staying open-minded – nutrition is a young and ever changing science, after all. Let me take a moment to share a few thoughts on what we discussed. I am not a food extremist and do not believe in eliminating otherwise healthy foods (or even the occasional treat) from your diet unless you are doing so for medical, moral or religious purposes. Not only is it unnecessary to achieve good health, it’s not a fun or sustainable way to live your life. It’s always important to ask “why.” Why do you avoid gluten, including in whole grains, if you do not have celiac disease or a gluten intolerance? Why do you avoid hormone free dairy if you are not lactose intolerant or vegan? And so forth. I certainly agree that reducing intake of refined carbs and grains will aid in weight loss, and that fat adaptive training may be worth exploring for some athletes during base training (check out these related articles by sports nutritionist Sunny Blende). If you can become more metabolically efficient and train your body to burn more fat for fuel during lower intensity exercise, that’s great – but you still need SOME carbs to burn fat for fuel (it’s biochemistry folks). Fruits, vegetables, legumes, whole grains (portion controlled), and dairy contribute “healthy” carbs to your diet. You also need carbs to fuel high intensity exercise (e.g. 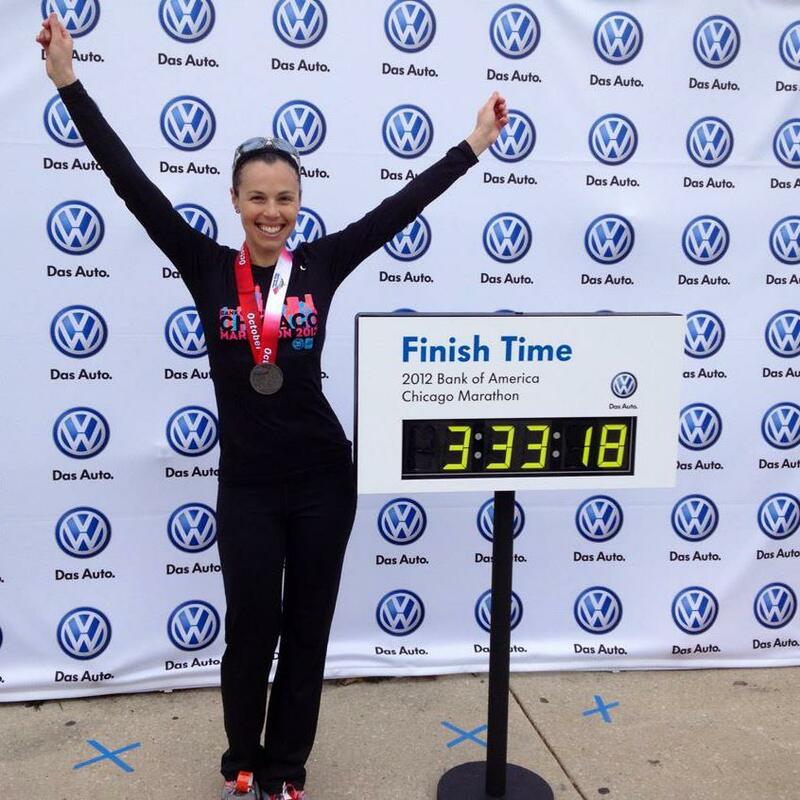 racing a marathon, surging up a hill in an ultra, speed work etc). If you’re lucky to have an iron stomach maybe you can eat real food, but you may only be able to handle more refined sugars (e.g. gels, drinks) just before and while running at higher intensities. The takeaway is that it’s important to pair your carb intake with what you are doing. For example, if you’re running easy for an hour or two, you’re fine running with water and perhaps some electrolytes. This obviously is a much more complicated topic that I will not go into further here, but those are my two cents for now! At the end of the day, regardless of guidelines and studies, what matters most is what works best for your health, your body, and your athletic performance. If you like to eat cheese and olives during your long training runs and you’re performing and recovering well, more power to you! I look forward to seeing the event organizers narrow the topic for next year’s panel and hopefully dedicate a presentation to nutrition or add another nutrition panel so that we are able to cover more ground on such a crucial topic. 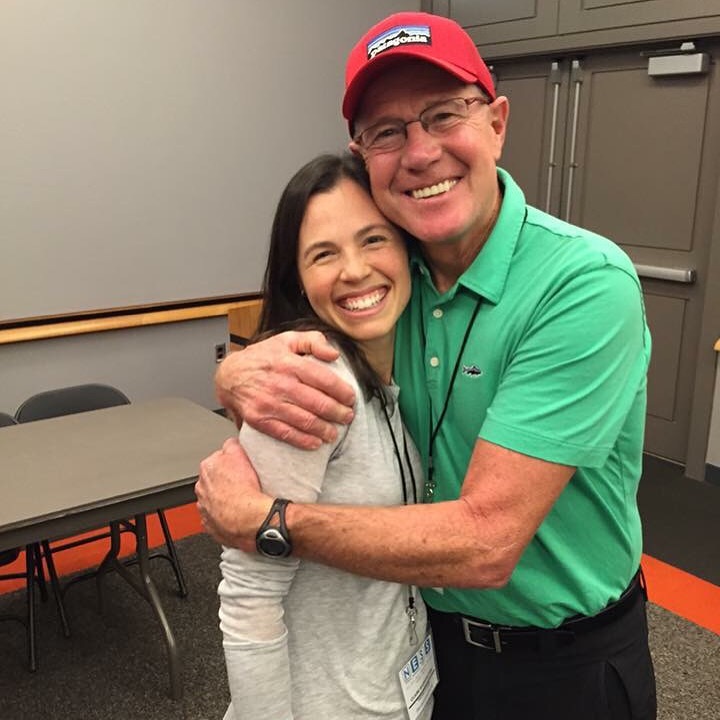 For anyone not familiar with Marshall Ulrich, he is an “extreme endurance athlete,” author of “Running on Empty” (which is on my reading list), and a really lovely person. He has finished more than 120 ultramarathons, among many other mind boggling feats of endurance. He began ultra running later in life after his wife passed away from cancer, pushing his body further in middle age than most 20 and 30 year olds could ever imagine. 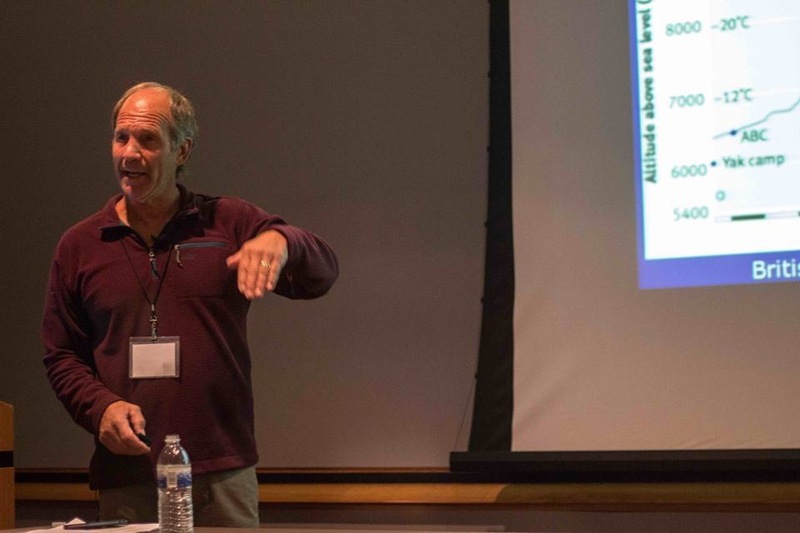 His presentation covered just a few of his “extreme” journeys, including running Badwater (he just finished his 20th! ), climbing Mt Everest, running across America at age 57 (3,063.2 miles from California to New York, averaging more than 400 miles a week), and circumnavigating Death Valley on foot at 61 (425 miles). He presented the challenges and risks of each of these environments (obviously there were many), and how he overcame the obstacles he faced to achieve his goals. I’m really looking forward to reading more about his run across the US, what Marshall called his hardest journey. It was inspiring to hear him speak about pushing himself to each finish, at times risking his life and running through some serious injuries. He focused on maintaining forward progress and fulfilling his commitment to himself. I hope I am fortunate enough to stay active and courageous enough to keep pushing myself beyond what is perceived to be possible as I grow older. David Horton is amazing – a real character. I met him right after the nutrition panel (he shared many of my views on nutrition), before he gave his own talk. He has one of the most high energy and enthusiastic personalities I have come across in awhile. He is also fiercely competitive and will poke and prod relentlessly because he knows that you can achieve more than you think you can (or in his words – you CAN’T – he wants you to prove him wrong). Dave is an endurance beast – 113,000 miles run since 1977, including 160 ultramarathons! Even though he is no longer running much due to knee surgery (long distance cycling is now his thing), he loves to share his passion for running and endurance sports with others. He teaches an advanced running course at Liberty College that requires students to run an ultra. Wish I could have taken that course in college! “This too shall pass.” Whatever it is, it always changes, for better or for worse. Wait it out. “You can do more than you think you can,” and along the same lines, “You’re better than you think you are.” It’s incredible what you can push yourself to do when you really want it. He used an example – how many miles could you run if you had to run them right now? Could you go an extra 10 miles if you were paid 1 million dollars? Could you run an extra 20 miles if someone would shoot you if you didn’t finish? Find what motivates you and run with it. “Commit to what you do.” Believe in yourself and don’t make failure an option. E and I definitely had Horton in our head this past week when we said to ourselves, why stop at running the NYC marathon for charity? Why not also run the JFK50 three weeks later (my first 50 miler, E’s second) to keep pushing ourselves? Before we knew it, it was booked. Thanks Dave! 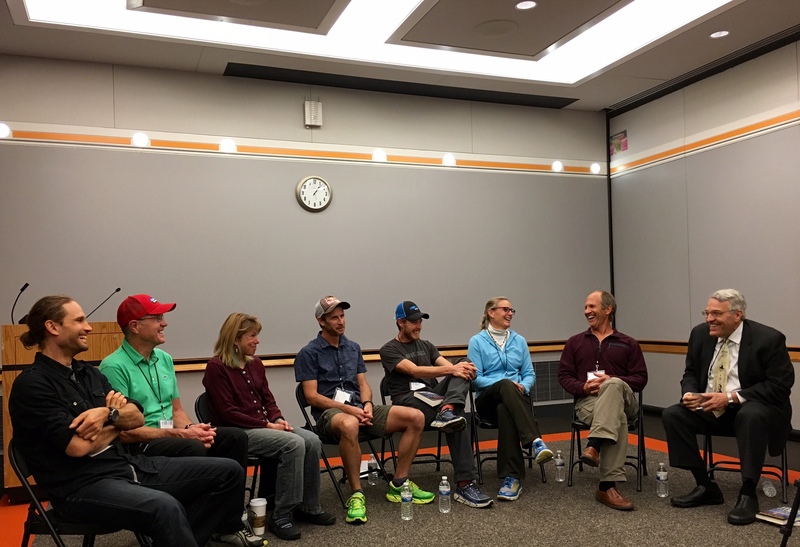 Again, how incredible to have such a concentration of legendary endurance athletes, not just at this panel but throughout the entire day! Dr. 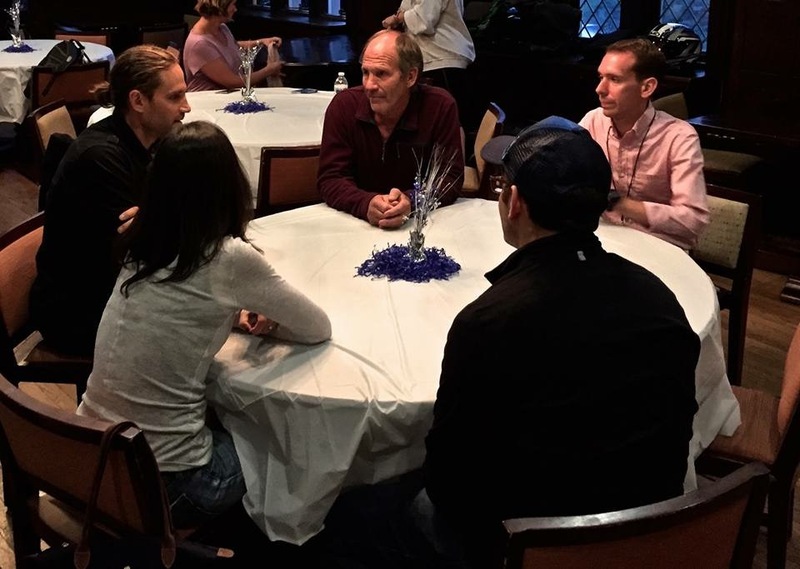 Rob Gilbert, a sports psychologist, guided a discussion that touched upon a wide variety of topics, including the idea of “suffering,” finding balance, life after winning (passing the torch to younger athletes, shifting goals), learning from past races, and more. I really enjoyed Lisa pointing out that the word “suffering” is not the correct choice when describing endurance sports. It is appropriate for chronic disease, death, trauma, and other tragic things that happen to us. By contrast, we CHOOSE to run because we love the sport – sure we may hurt and feel pain, but we are not “suffering.” You have to enjoy the process – embrace the highs and the lows – and remember that it’s not all about the destination. Regarding balance, I’m always amazed that many accomplished endurance athletes also hold full-time jobs, have families, travel constantly, all while doing some seriously time consuming training. Some sacrifice sleep – Lisa said that she trains between 3am and 7am – while others sacrifice family time. Prioritizing is key, but it’s still tough to find that balance. 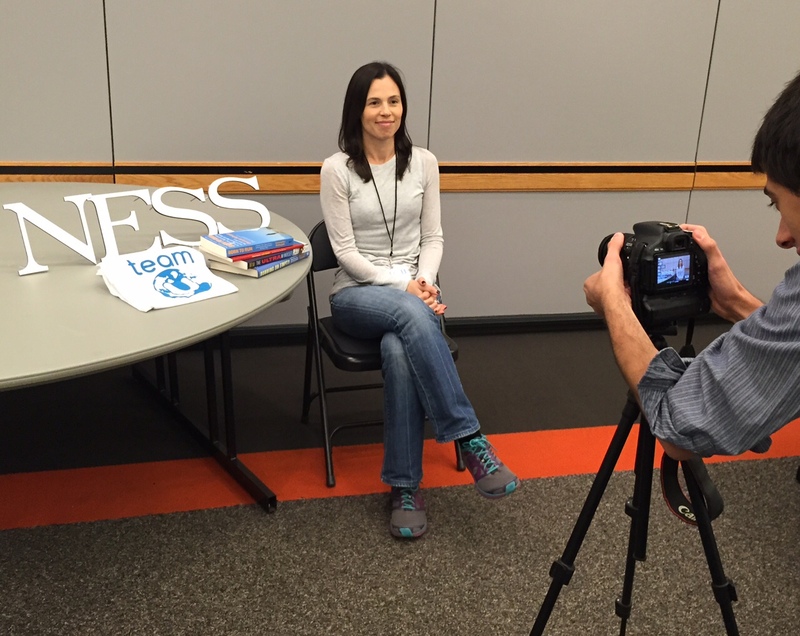 Ann – Remember the P’s of ultra-running: patience, persistence, passion, practice. Consider working with a heart rate monitor. Remember that running is a gift! Jason – Don’t neglect strength training – even just 15min twice a week. Check out his site strengthrunning.com for great articles and videos! Shane – Listen to your gut – your gut can sometimes tell you more than your brain. Terra – Commit to foam rolling, massage, cross-training, yoga. 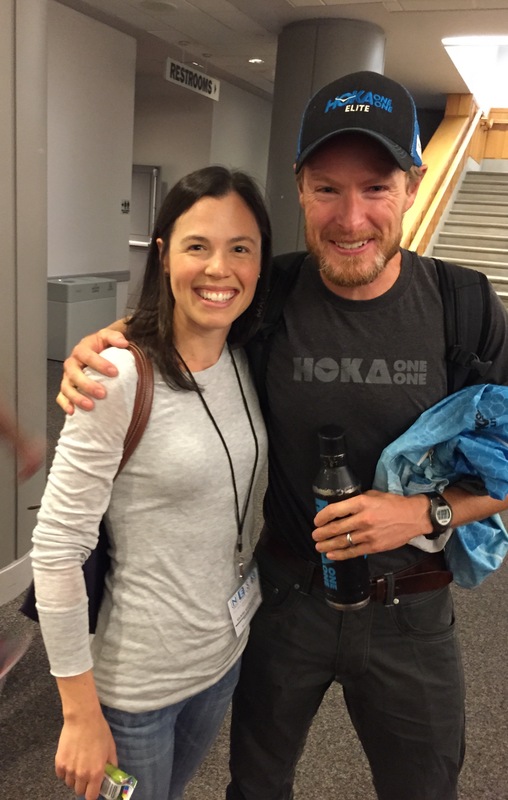 I recently read “the Ultra mindset” to get motivated for the UTHC 65k last month, so I really enjoyed meeting Travis Macy and hearing him speak about applying principles of training to life. Most of what he said was covered in the book, so check it out if you want all the specifics! One of the key phrases that he uses to push through tough times in training, racing and in life is, “it’s all good mental training.” So true. Another one I really liked – “the harder it is, the stronger you get” – great running mantra that I used in ultra training. He discussed the importance of creating the life that you want – not listening to the stories others or even a less confident version of yourself you may create. This really resonated with me as I try to carve out my own path in life. I recommend the book – it comes with some helpful exercises that Travis even said he would “grade” if you send them to him! Terra Castro is an inspiring, courageous, honest and lovely woman who was a competitive athlete from a young age, became a pro triathlete, and has since started her own company Be Bold Crew in an ongoing effort to keep her “joy tank” full. It was awesome to hear her personal story of her accomplishments and struggles, and what she learned from it all. Takeaway – take risks to find your joy – and be B.O.L.D. (Believe, Outpour, Light, Dedicated). We finished out the night with a lovely speaker dinner, where E and I were able to chat with everyone in a relaxed and intimate setting. Everyone was curious to see what the dietitian was eating! It was a great way to wrap up a day of learning, inspiration and making new friends. Everyone was so friendly and down to earth, it was easy to forget that we were surrounded by some seriously unique, tough, and accomplished individuals. It’s nearly been a week and I’m still feeling the energy from NESS. If you have any interest in marathons, ultras or other endurance sports, then I urge you to sign up next year. This event is a true gem with some serious growth potential. I’m still amazed that it was organized entirely by college students – great job Team U! I certainly hope I am able to participate next year.